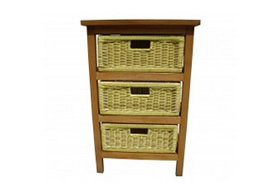 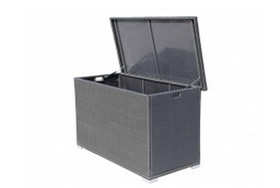 Easy, compact storage. 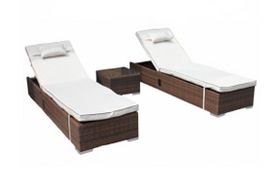 This set tucks away into a neat cube. 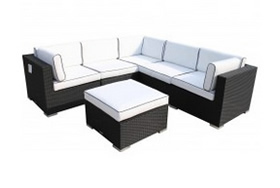 Includes out amazing 5 year structural warranty. 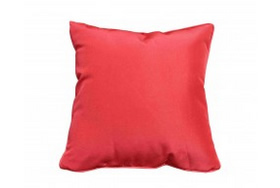 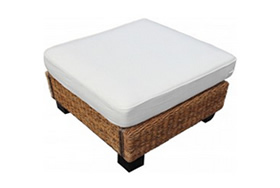 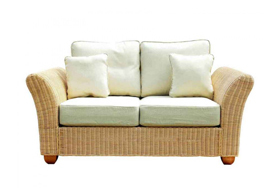 Luxurious 6cm thick seat cushions. 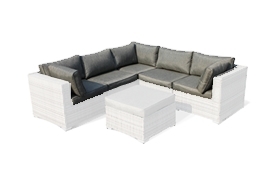 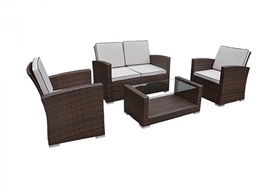 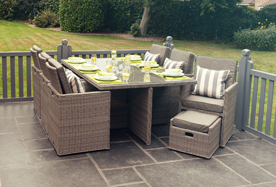 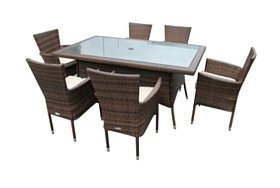 Whether you're socializing with small groups of family or friends, relaxing on your own or eating an al fresco meal in company, the attractive Barcelona 9 piece cube set is the perfect choice for your garden or patio. 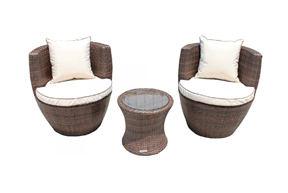 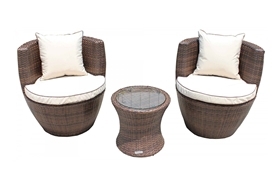 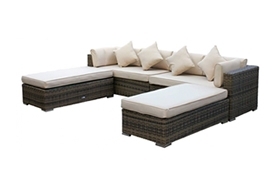 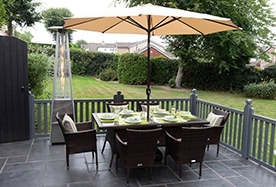 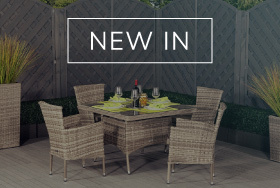 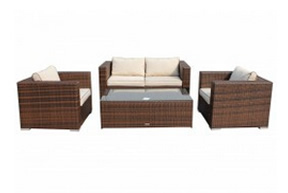 Made to the highest specifications to our attractive, high quality in house designs, this truffle coloured set is the last word in elegance and sophistication, ensuring that your outdoor space looks more attractive than ever. 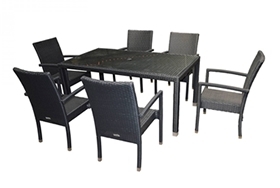 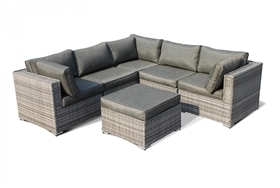 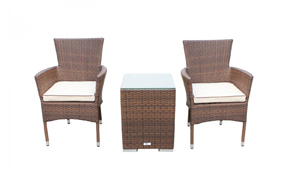 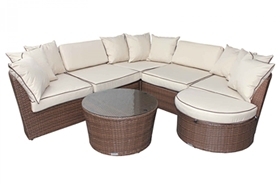 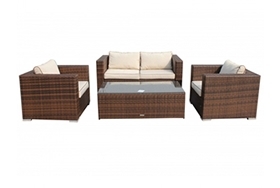 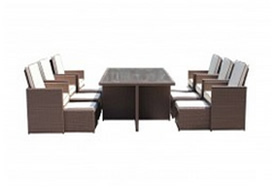 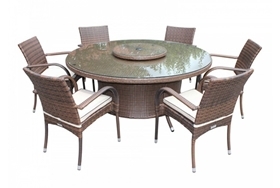 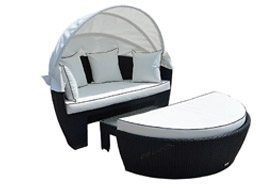 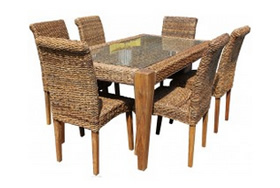 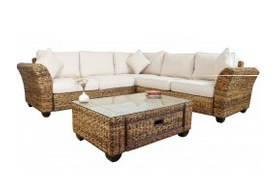 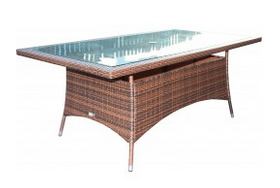 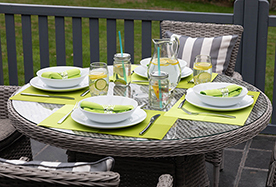 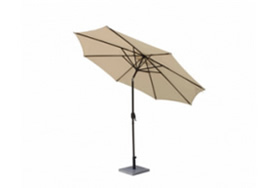 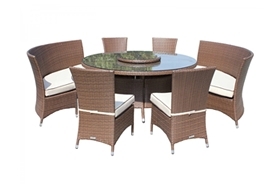 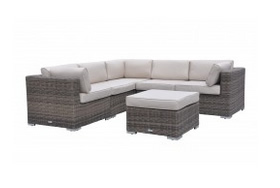 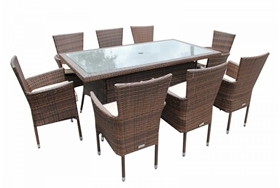 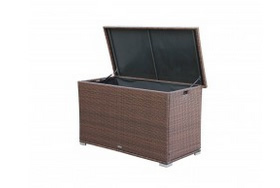 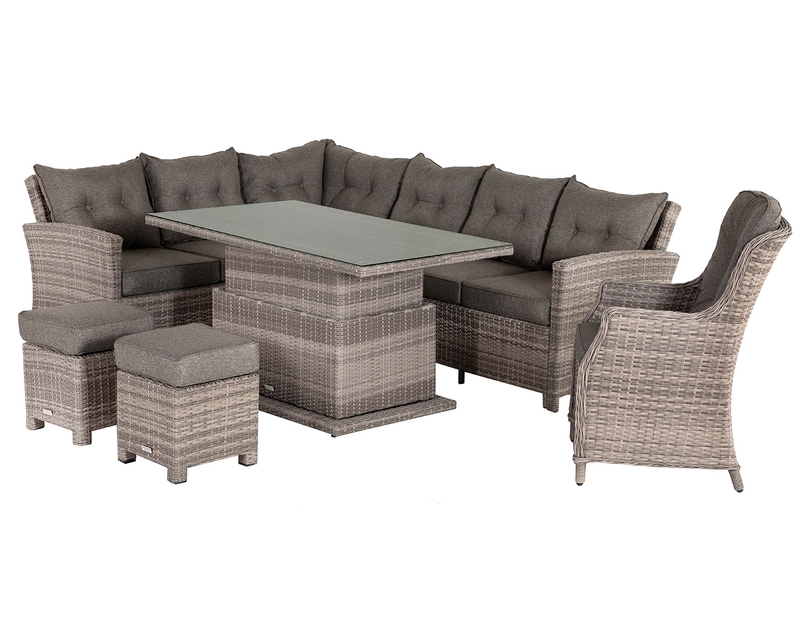 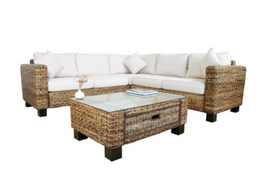 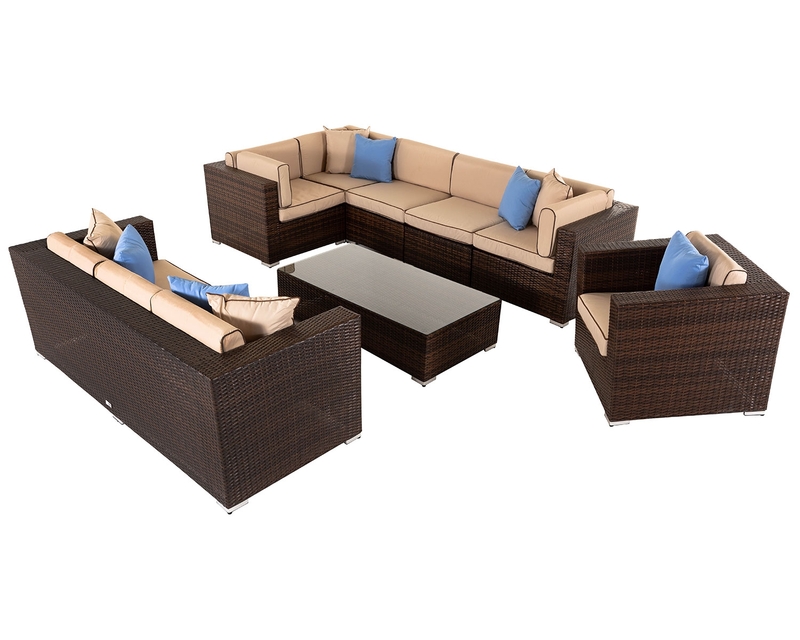 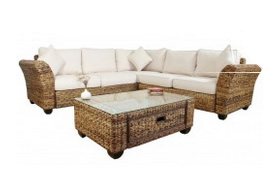 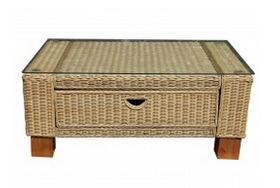 Leaving your cube dining set outdoors both by winter and summer is perfectly possible thanks to the anti-fade, UV protective design which ensures that strong sunlight will not fade the synthetic rattan, and the free weather covers which come supplied with this set. 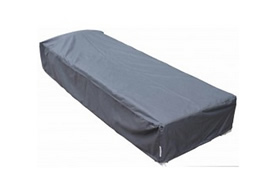 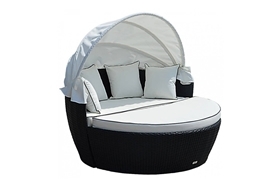 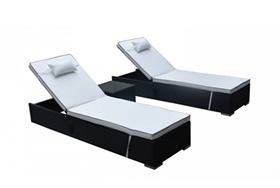 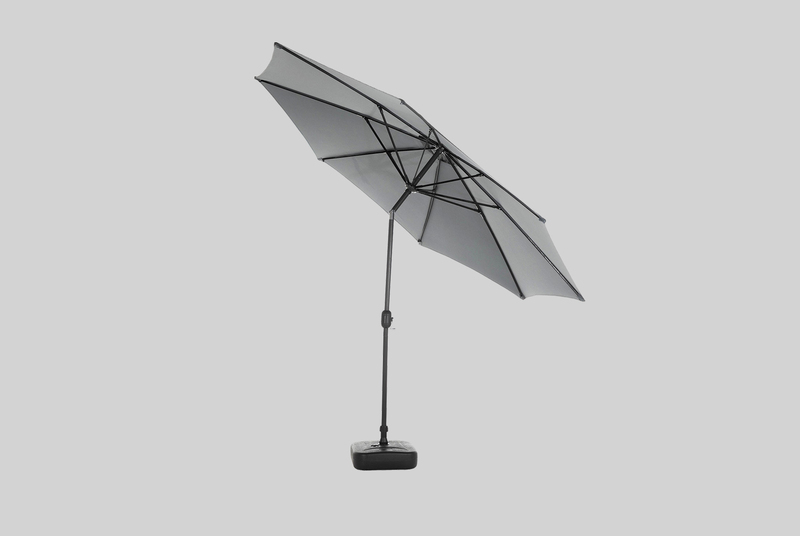 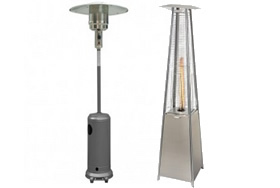 The frame is even protected by powder coating, so you won't have to worry about any further rust protection and the showerproof cushions can be left in place even in poor weather. 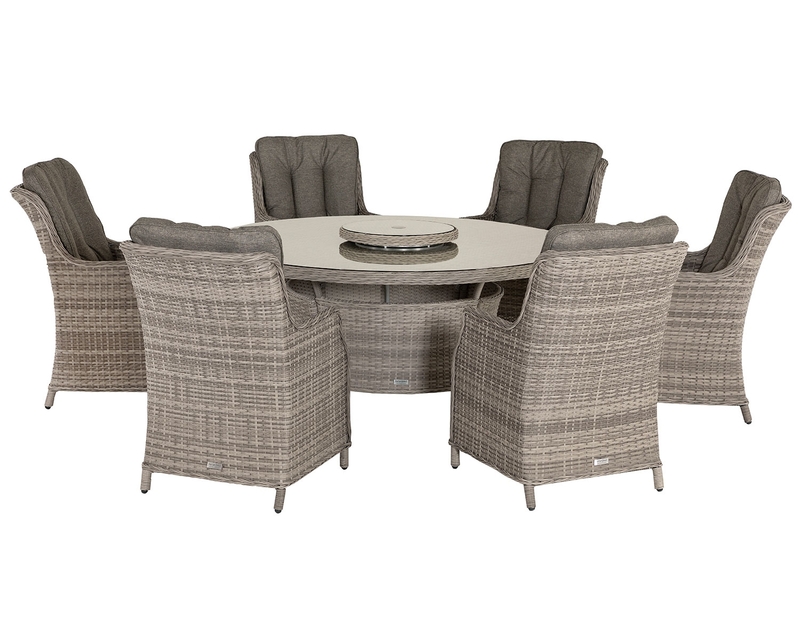 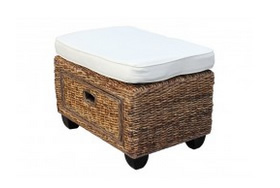 The four inclusive footstools can either be used for their intended purpose or can be used as additional seating for those extra guests, and as the table itself has a tempered glass top for extra safety, this is a versatile, flexible and practical set that never compromises on style. 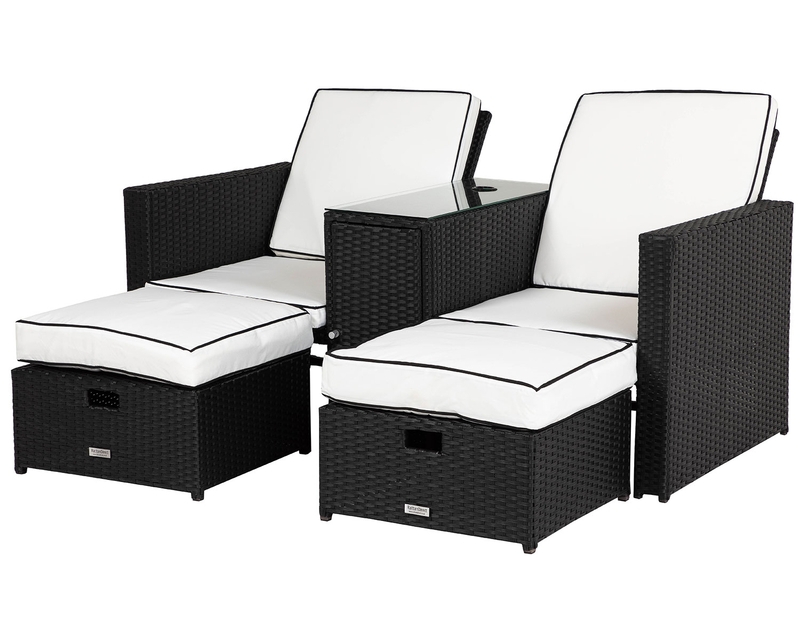 With a five year structural warranty, buyers can enjoy complete confidence in their purchase and can even enjoy the space saving convenience of a compact footprint since all of the pieces tuck inside each other for storage purposes. 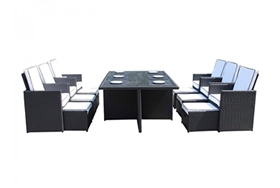 Table 73 Chair 69 Footstool 39.